Well, as I mentioned before we had to go out into the Atlantic from Cape May because the New Jersey Intercostal Waterway (NJICW) was very shallow and not advisable. However, while in Cape May we started to get conflicting reports of the ICW , that if you left on a rising tide you should not have any problem. We all wanted to go the Atlantic route but the sea conditions were terrible and the ICW looked like the way to go. There were several looper boats here at Cape May and one of them left the day before on the ICW and the draft on their boat was four feet. I called them that evening and they said there was no problem and pointed out some of the areas to be aware. On a rising tide the next morning seven of us left at 7:00 am and headed to Atlantic City. It was a good 50 miles and several no wake zones because of houses and marinas. There were a few areas of concern, like only 2 feet of water below our keel,. but we all made it okay without anyone grounding. 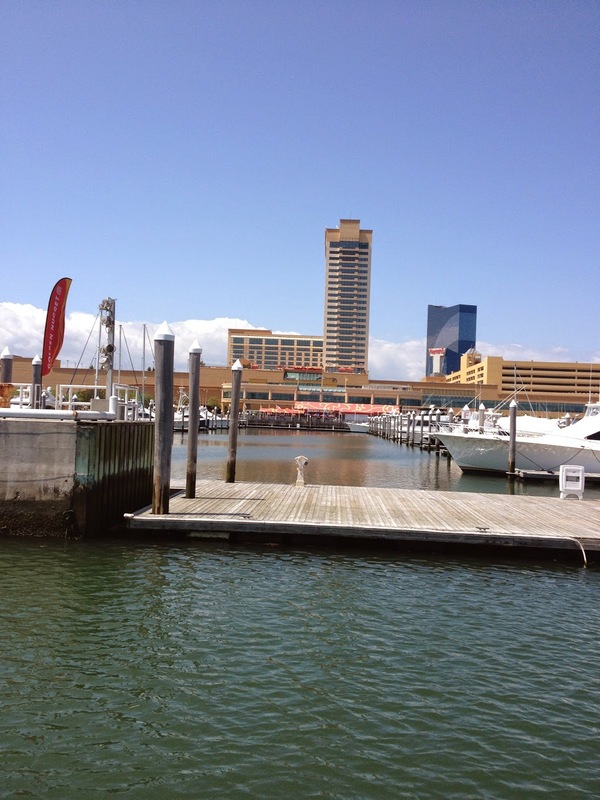 When we all arrived at the Golden Nugget Marina we went up and celebrated our safe journey. That night we went to the seafood buffet and chowed down. Loved the crab legs. After dinner it was back to the boat and to bed. 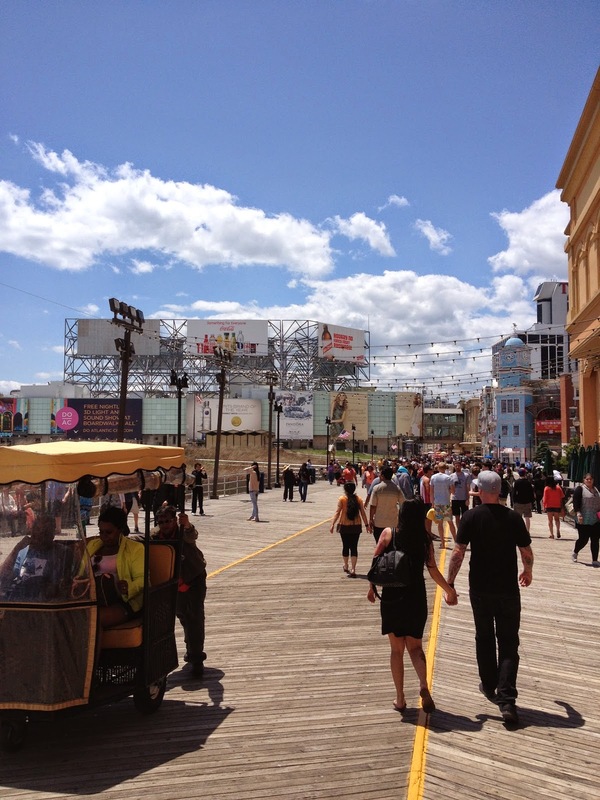 The next day we went to the famous boardwalk of Atlantic City and walked up and down, basically people watching. When we got back to the boat it was back to the buffet at the Golden Nugget. After dinner I had to throw my twenty dollars away and then went back to the boat. The next day our destination was Manasquan New Jersey. All seven of us looper boats decided to stay on the ICW and not to go into the Atlantic Ocean - again because of bad sea conditions. We all made it okay but it was a 60 mile day and towards the end several boats were out enjoying the weekend and made the waters rough. Not like the ocean, but not like the usual glass water of the ICW. Manasquan doesn't have much and the marina is right on the ocean inlet with every boat going by and rocking you till it was late in the evening, not to mention the train bridge that goes up and down with a siren every time a train goes through. Sorry, but we didn't take any pictures of Manasquan. From here we have to go into the Atlantic Ocean to get to lower New York Bay. We'll be going to Staten Island. I was born in Atlantic City. My grandmother lived in Pleasantville just outside of AC. 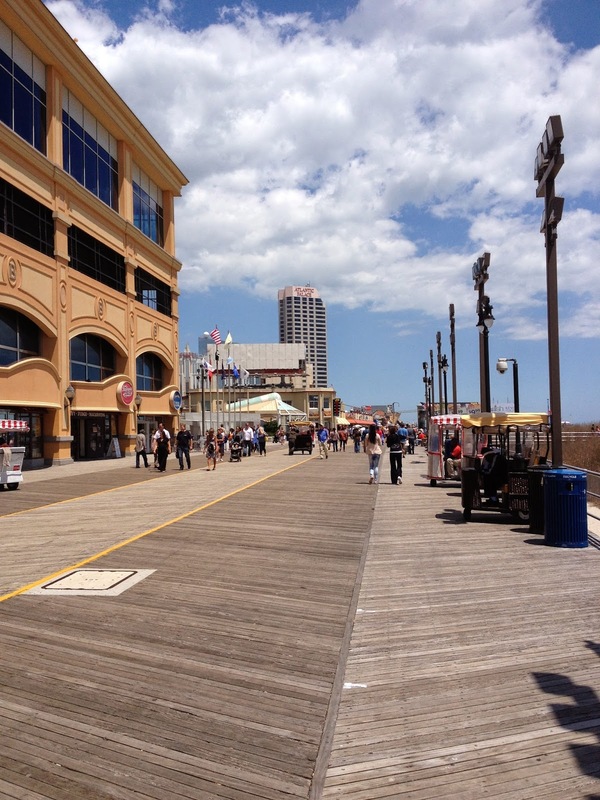 I spent a lot time at the boardwalk. Cindy J.